If you are itching for a vacation but don’t anticipate leaving on a jet plane any time soon, then perhaps an escape to Thibiant Spa will suffice. They employ only expert estheticians and body workers, assuring that guests will be in good hands...literally. In only a few hours, you can experience some of the world’s most luxurious natural beauty treatments without leaving Beverly Hills. It’s like a first class trip around the world minus the jet lag. Start off your trip in Thailand, where an expert body worker will stretch, pull, twist and rub all of your worries into oblivion. 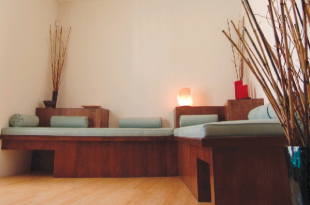 Thai massage focuses on the feet, so your poor soles will get that long overdue, well-deserved rub. Like yoga, this technique has been practiced for centuries and releases blockages, moves energy and yields relaxation. Afterward you will feel like you just took a hard-core yoga class, except that your masseur did all of the work for you. Thibiant Spa also offers deep tissue, lymph drainage, pregnancy, anti-cellulite, Swedish and shiatsu acupressure massages, as well as foot reflexology. Now that you are relaxed and blissed out, how about a quick trip to Brazil? It is officially bathing suit season. Sigh. Luckily Thibiant Spa has waxing experts who offer quick and effective techniques. 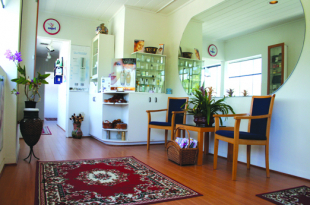 They pride themselves in offering nearly pain-free hair removal from brows to backs to bikini areas. After that, it’s off to Tahiti. The Tahitian Body Glow provides an exotic combination of crushed walnut shells and monoi (coconut) oil, enveloping you in tropical scents as it scrubs and nurtures the skin. The Hydrotherapy Tahitian Milk Bath nourishes your body as you soak your troubles away in an exclusive mixture of coconut oil, fresh peach essences and crushed petals of tiare (gardenia) flowers. Make your feet happy with a Tahitian pedicure, performed with perfection and precision, and dazzle your nails in a neutral shade, or something springy. Next stop: South America. Thibiant’s Rain Forest Mud Therapy uses water, sea minerals and mud coupled with heat to release toxins and facilitate circulation. The mud contains a blend of soothing herbs that quenches thirsty skin, allowing you to purify and decompress. 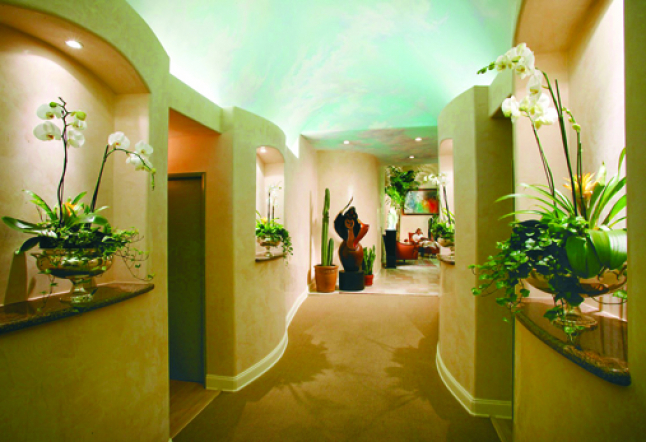 The spa offers similar sumptuous treatments such as Hydra Marine Mud Wrap, Detoxifying Seaweed Wrap and Contouring Clay Wrap. We’ll head to Hawaii on our way back to Los Angeles. Upon arrival, you can choose from delicious facial options like Papaya Pineapple Enzyme Exfoliation, Mixed Fruit Exfoliation, Vitamin C or Aromatherapy. 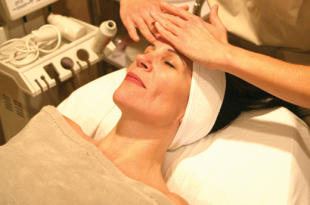 Once Thibiant’s estheticians get to work, you know that you are in the hands of a pro. 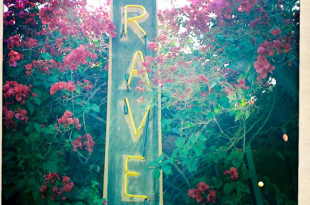 You will walk away with a newfound radiance. Continue that healthy glow with the Sun-Free Tan Exfoliation. Your body will be fully scrubbed to even out skin texture before a liberal application of Thibiant’s sun-free tanning lotion, giving you natural looking, sun-kissed skin with out the risk of UV damage. For the less adventurous, Thibiant also offers day packages with bewitching names like Mediterranean Reverie, Garden of Earthly Delights, Beauty Getaway and Sea of Tranquility. 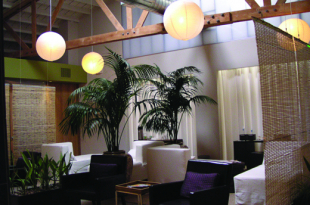 Each provides an assortment of spa indulgences plus a healthy salad served to you between treatments. Okay, so maybe you are just going around the block or a few miles away (although, in LA, a few miles might mean long journey). 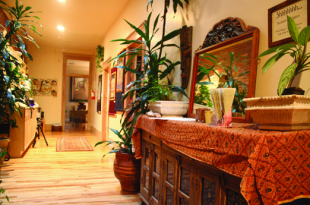 Nonetheless, treat yourself to that well-earned vacation at Thibiant Day Spa.